Simple gathered stitches produce this beautiful flower. These steps were adapted from the tutorial by Rose Rushbrooke. 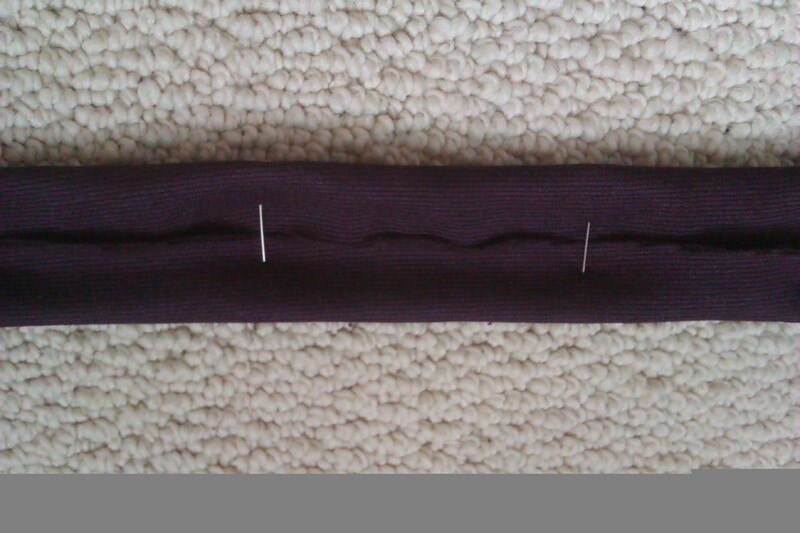 Lay the fabric wrong side up, and fold the raw edges toward the middle (lengthwise); pin in place. 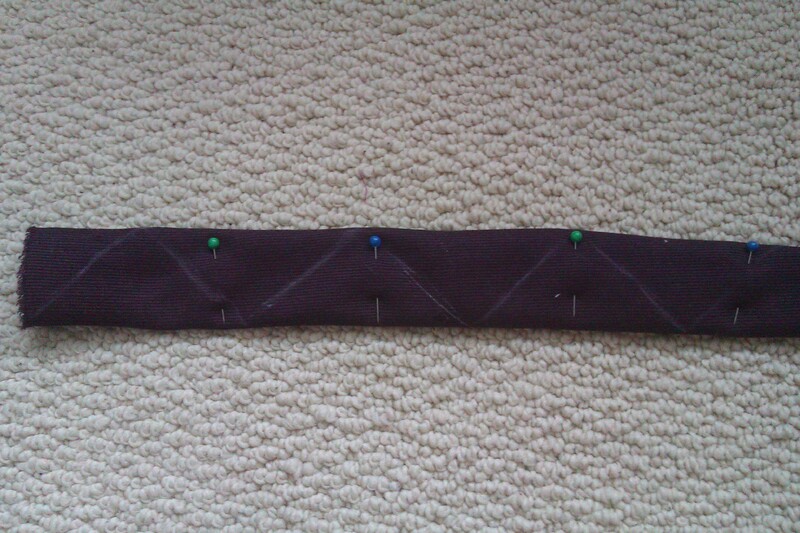 This picture shows a segment of the fabric strip. Flip the fabric over, and using pencil/chalk, draw 6 zigzags on the front of the fabric. The zigzags should have 90 degree angle corners. Sew along the zigzag lines, pulling the thread taunt to gather the fabric. 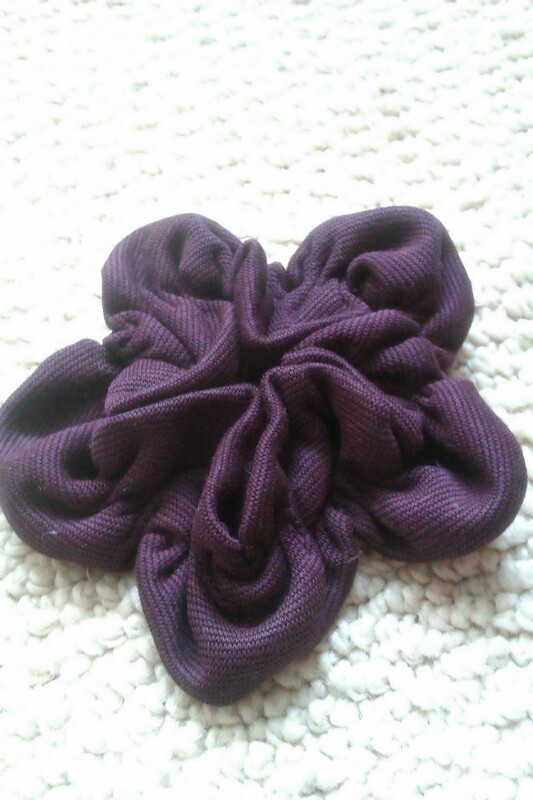 Arrange the fabric in the shape of a flower, and make stitches to secure the overlapped ends and create the shape of the flower. Sew a safety pin onto the back. 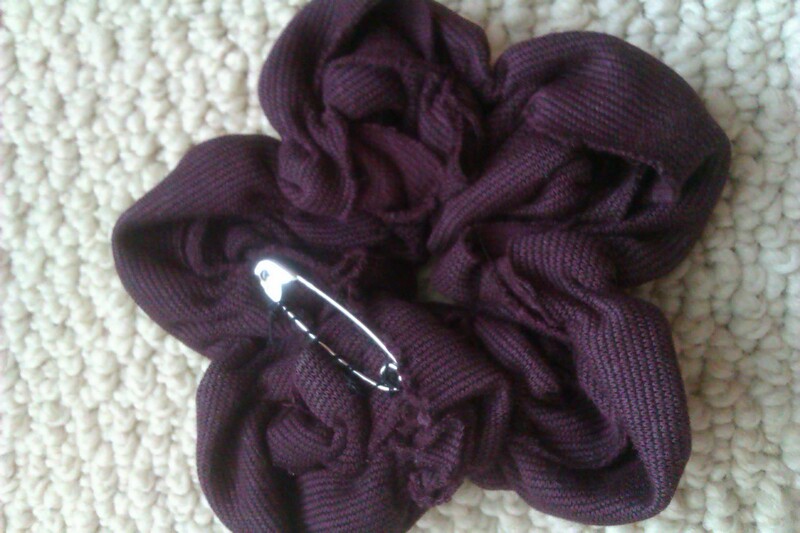 I like sewing safety pins onto the back of flowers, as the safety pin allows the flower to be pinned onto clothing, and also a hair clip can easily be slid onto the safety pin to pin into my hair. Although I love pretty things (eg. flowers, crafts, ribbons, anything shiny)… sometimes I do find myself getting a bit too obsessed over them and spending too much time browsing ideas or planning future projects. It’s in these times that God reminds me of my priorities. Though these pretty things will one day become tattered or grow out of style, there are some things that will not fade away: God’s love, His Word, and the work of character that He seeks to build in me. Thus I am reminded to set my heart on the important and the eternal, rather than let all my energy and time be consumed by what is temporal and trivial. When I got the idea to make a boat-necked tank top, it seemed like a piece of cake. After making it, and after seeing the finished product, it seemed like a piece of cake as well. But was it? While I was trying to sew the seams, my sewing machine skipped stitches, jammed threads, stalled, and just plain refused to cooperate. At one point I was so frustrated that I just sat in my chair and almost cried. 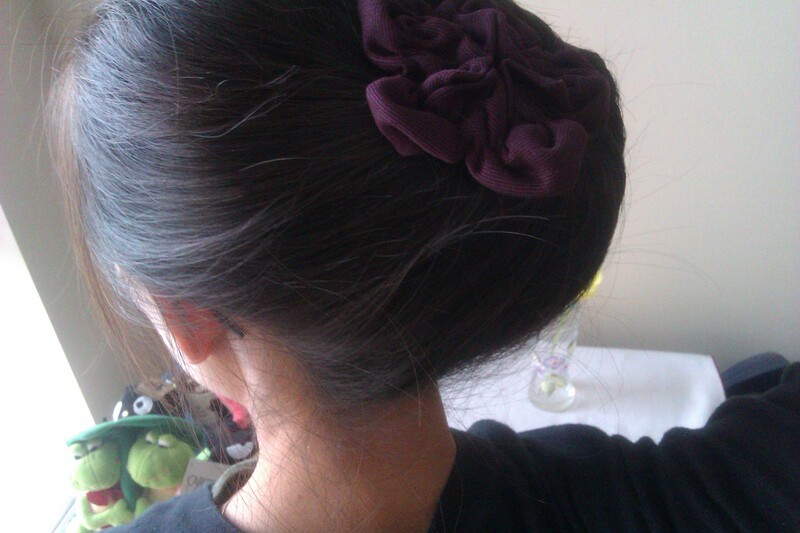 I considered hand sewing the whole thing, or even abandoning the project altogether. After all… I expected things to go well, I expected my abilities to carry me through, and I expected my sewing machine to do what I told it to do! I was sorely disappointed that things didn’t go the way I wanted. It was in the midst of these disappointments and frustrations that I began to pray and pour out my feelings to God. In my exchange with God I was humbled that I cannot control/predict everything that happens, and I was reminded of how much I needed God’s help (instead of just self-reliance) in all my projects (and all areas of my life). It took some time to ponder and accept this, but with this renewed perspective and attitude, I went back to sewing. There were still a few hiccups, but at least my heart was at peace- knowing that whatever happens, the project is in God’s hands. Miraculously my machined sewed around the armholes successfully (through 4 layers of fabric! ), and the project was finished in one day. Funny how it sometimes takes these moments to drive us to God. But it is also because of these moments that I can truly say Soli Deo Gloria! DIY Upcycled Greeting Card- Merry Christmas!